Building Specs Home Inspection Service is the ultimate home inspection resource in Southern California. 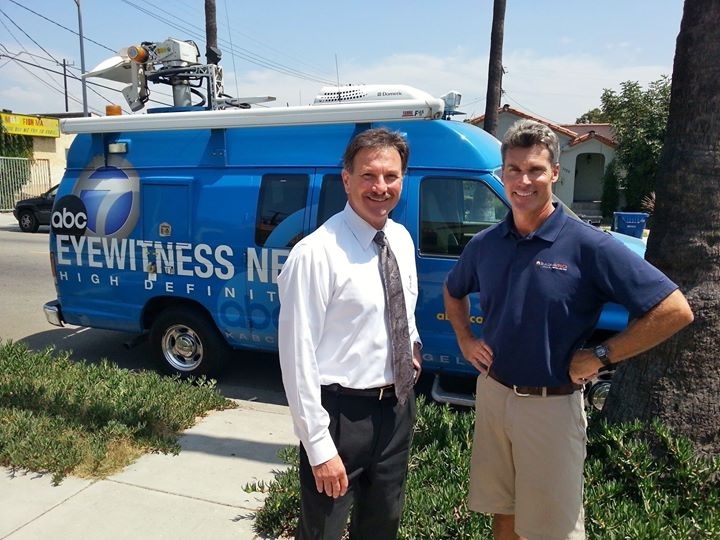 As Seen On HGTV, DIY and Eyewitness News. Educating you about your new home is our main objective and your safety is most important to us. The home inspection is a critical key to ensuring the safety of your new home. And beyond safety , a home inspection can save you from some potentially big repairs or maintenance costs down to road. The home inspection can also help you negotiate a better deal and keep your family safe and sound, starting with the very first night in your new home. CEO and owner Rick Yerger is a renowned home inspection expert with nearly 30 years of experience. He has an extensive and impressive track record of serving Orange County, San Diego County, and Los Angeles County, California with exceptional home inspection services. Building Specs Home Inspection Service has a knack for catching potential hazards and issues that other companies miss. The inspection team at Building Specs inspects your home from top to bottom, analyzing every detail and ensuring the highest quality standards of home inspection services for homebuyers. From the tip of your roof to the cracks and crevices of your home, Rick Yerger and his highly specialized team will ensure that you’re moving into a safer, sounder home. Buyer Beware: Why Hire a Home Inspector? Looking for proof that Rick Yerger and his team are the absolute best in the home inspection business? Rick served as host for two popular TV shows on both Home and Garden Television (HGTV) " The House Detective" and DIY Network "Finders Fixers". He helped homeowners discover and repair a variety of issues, from sloping floors to faulty plumbing. 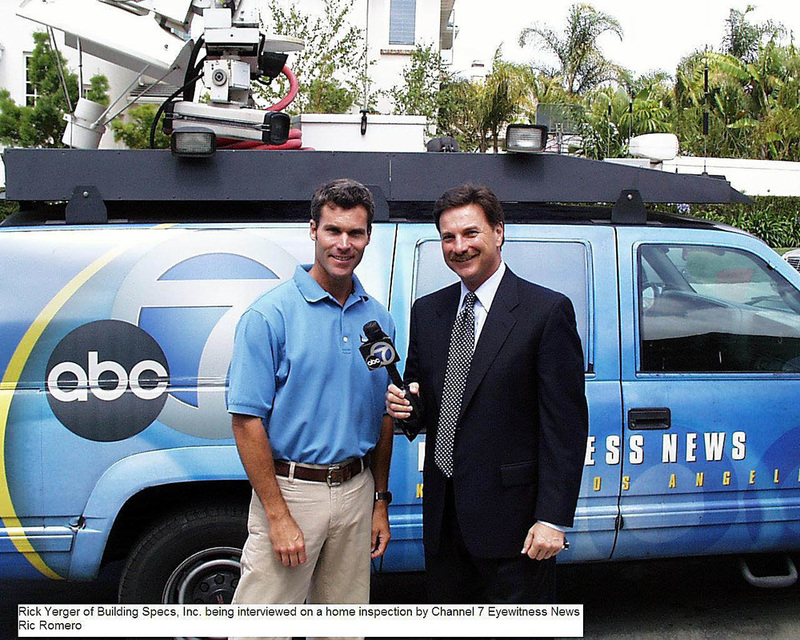 Rick was the host for the two TV shows for a total of 5 years, and the documentation gives you—our potential new client—a glimpse into what you can expect from Building Specs Home Inspection Service. And without question, you’ll receive nothing short of star quality treatment and services from Rick Yerger and his team. When you’re ready to move forward with your home inspection in San Diego, Los Angeles and Orange Counties, Rick Yerger and his team is happy to help. Contact us today at 888-773-2711 to ask any questions, schedule your appointment, and prepare to move into a safe (and happy) home. Or simply Click Here and you will be taken to our online scheduling system. We would like to thank you for the work done (home inspection in Laguna Niguel, CA) on the property of DeerVale. We really appreciate your thorough home inspection. You may think that you are only doing your job, but it really meant a lot to us and it will change our life if we end up buying the property. Thank you very, very much. We are sending our best wishes to your family.